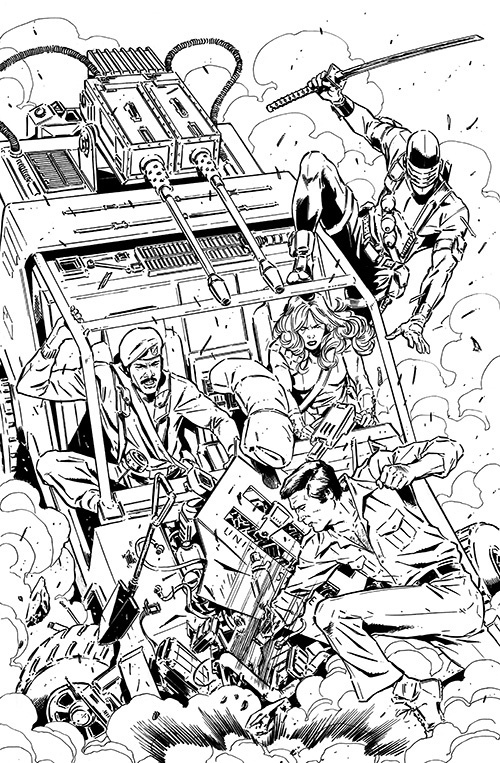 The first issue of the GI Joe v Six Million Dollar Man (or $6 Man, as I used to say as a kid), hits the stand soon. The cover I did is already floating around out there, but here are my inks on it. Keep your eyes peeled for the book to hit the shelves !